One factor that truly sets us apart from the competition in the area of ironers is the expertise of our staff members, who average 10 years of experience delivering custom solutions to our clients. 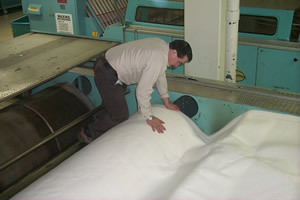 Our services and product inventory cover a wide variety of flat work ironer needs. Most of our products can be shipped within 24 to 48 hours.